Experience the Holiday Season With Christmas Events In Branson! 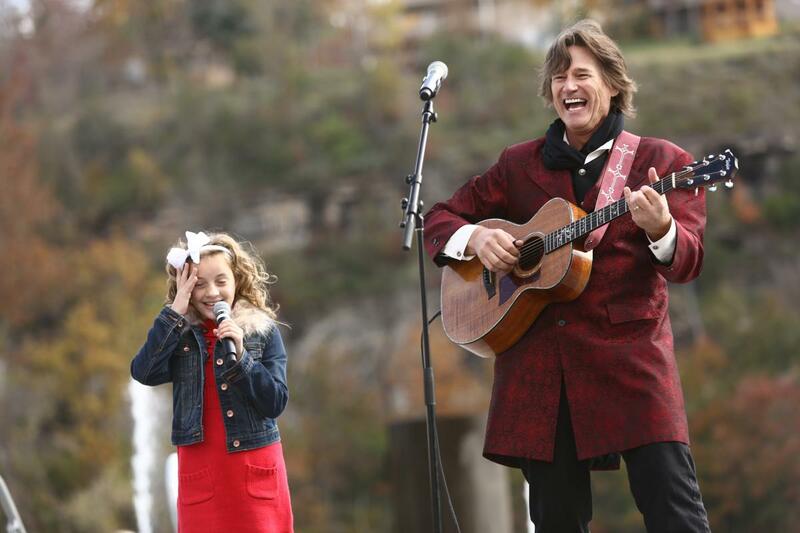 There’s a rich history of Christmas events in Branson here in Ozark Mountain Country. The city’s events comes to life during the holiday season when all of the Branson shows and attractions break out their Christmas presentations and the town becomes a wonderland of lights and decorations. Aside for the normal Branson shows and attractions, you’ll also find many Christmas and other events in Branson that are unique to the holiday season. Here’s a look at a bit of what you can look forward to this Christmas season in Branson. An Old Time Christmas – Silver Dollar City Presents this Christmas extravaganza! See Rudolph’s Holly Jolly Christmas Light Parade. The kids will marvel as Rudolh himself leads this parade with musical lighted floats featuring 200,000 lights and accompanied by 33 costumed characters. Two original musical productions: It’s a Wonderful Life, And Charles Dickens’ A Christmas Carol are also a part of the festivities. The Christmas on Main Street light & sound show featuring the 5-Story Special Effects Christmas Tree, 5 million lights, holiday shows, a musical Living Nativity, rides, shopping and legendary Silver Dollar City dining all make for a magical collection of Christmas events in Branson. Shepherd of the Hills Trail of Lights – An Ozarks holiday tradition, the Shepherd Of The Hills park becomes a beautiful wonderland of lights. Branson Landing’s Winter WonderLanding – The popular shopping destination transforms into a magical experience of lights and decorations. 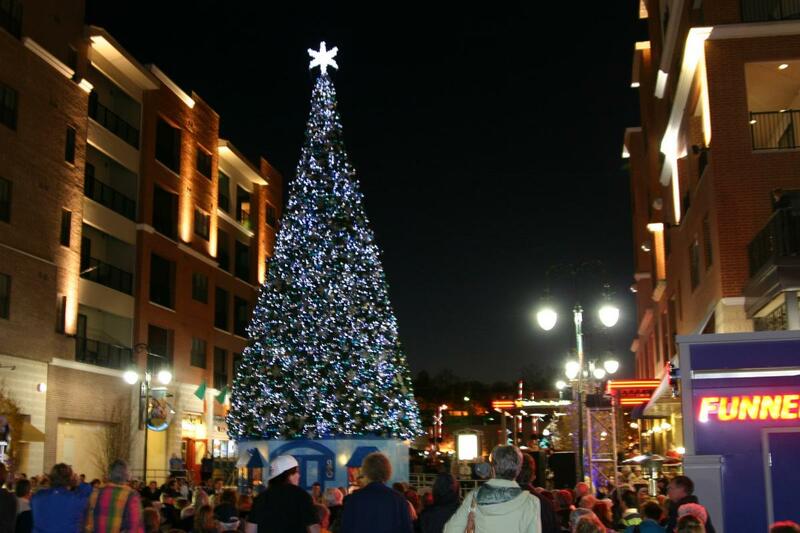 Branson Landing bargain hunters won’t want to miss the Landings massive Black Friday sale! 67th Annual Adoration Parade – The 67th Annual Celebration, this is the Granddaddy of Christmas events in Branson. Enjoy the lighting of the area’s largest Nativiety scene, followed by the spectacular parade. Breakfast with Santa – Chateau On The Lake holds this annual charity fundraiser. Watch the kids light up as Santa arrives via fire truck. Parents will be delighted by the beautiful holiday decor and lights throughout the resort. Each child will receive a gift and have the chance to visit with Santa. The event will feature a grand breakfast buffet and fun activities, such as making Christmas ornaments. In addition, there will be clowns distributing balloons, face painting, and holiday movies. Branson Area Festival of Lights – This drive-thru display of holiday lights will delight children of all ages. Enjoy a magical, one-mile, drive along a path illuminated with more than 175 festive displays. Located just off Shepherd of the Hills Expressway and Roark Valley Road, the Festival Of Lights has long been one of the most beloved Christmas events in Branson. 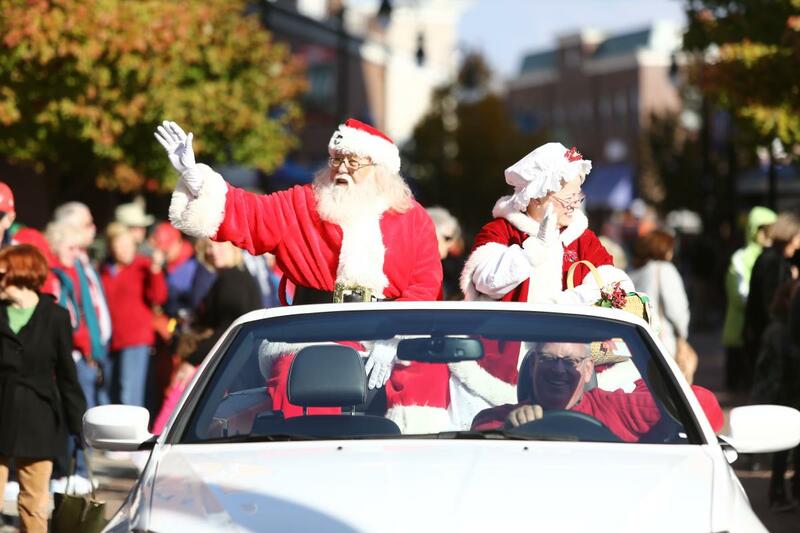 Are you getting excited about all of these Christmas events in Branson? Well, that’s just the tip of the iceberg! If you’d like to learn more about these and other great Christmas events in Branson, just contact one of our experienced Travel Planning Member travel agents or take a look at our Branson resources. The Branson Travel Planning Association is here to assist you with booking your Branson vacation, whether it be for the holiday season or any of the other fun Branson vacation season activity or event. BTPA members have been saving visitors, just like you, both time and money on their Branson vacations since the beginning years of what is now Branson and we look forward to making your next trip to Branson easy, affordable, and the best trip to Branson you’ve ever had!